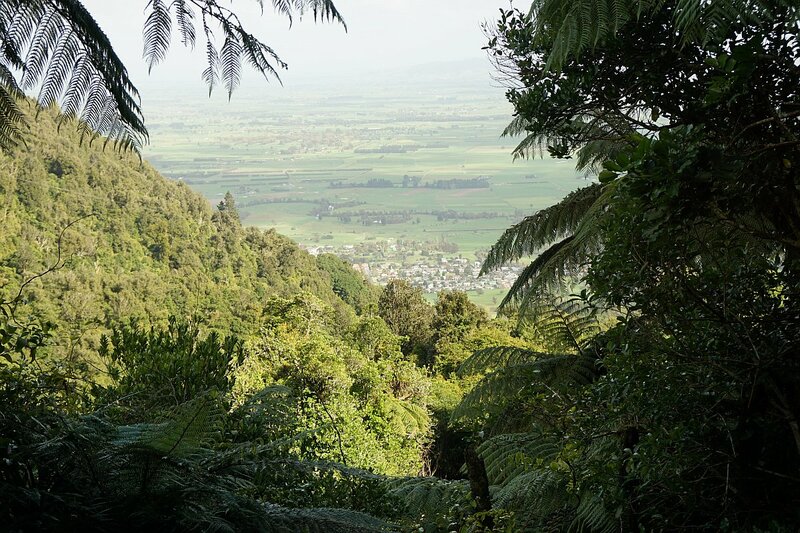 A brochure covering DoC walks in the Te Aroha and Waiorongomai area is available on and can be downloaded from the DoC web site. 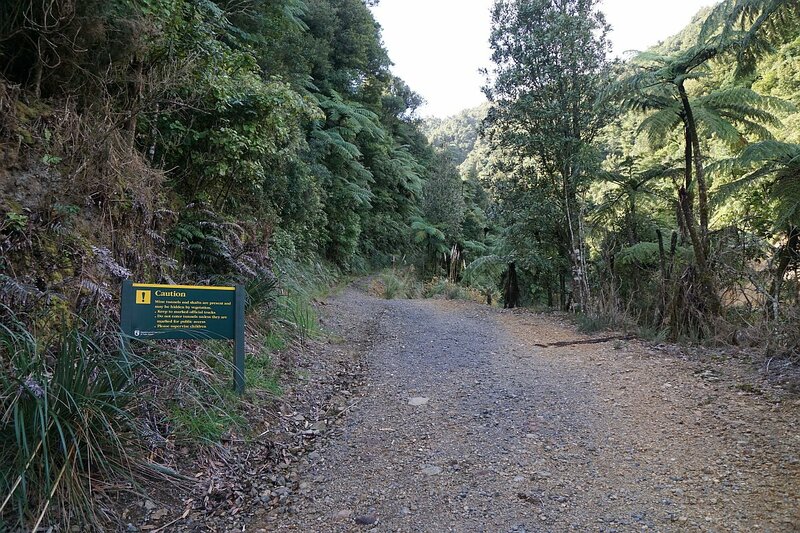 The direct Te Aroha Mountain Track is described in a separate blog post. 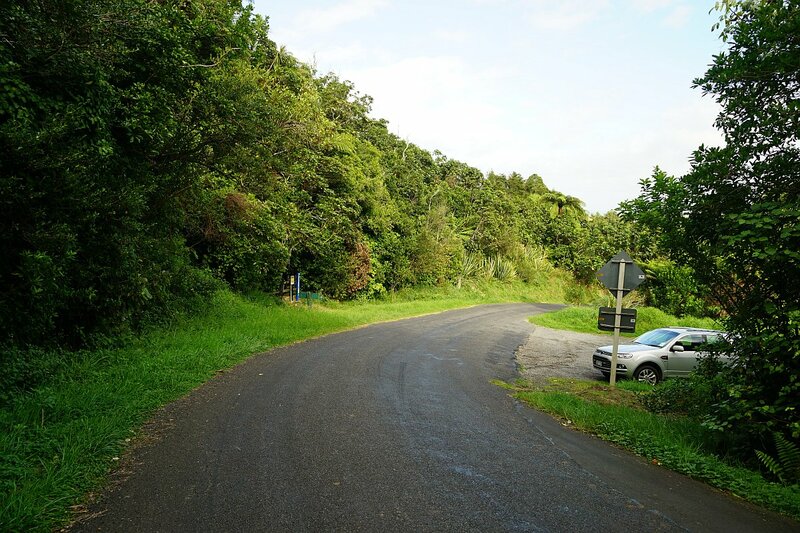 Tui Rd leaves Centennial Ave near the northern end of Te Aroha township. It continues for about 2 km until reaching a gate which is normally locked. The last part of the road is narrow and winding, but sealed. There is a small parking area near the gate. There are no toilet facilities by the parking area or anywhere along the tracks. 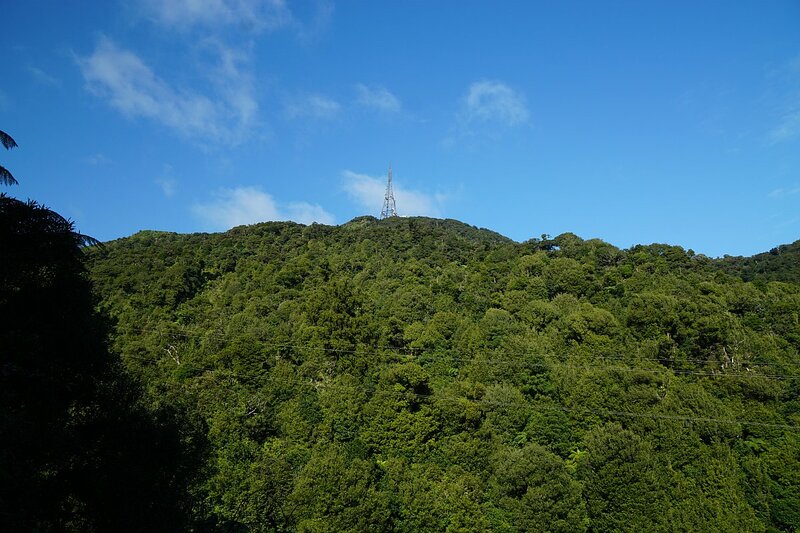 Mt Te Aroha summit is 953 metres above sea level, and the parking area is about 230 m asl, so there is a total climb of more than 720 metres to reach the summit. 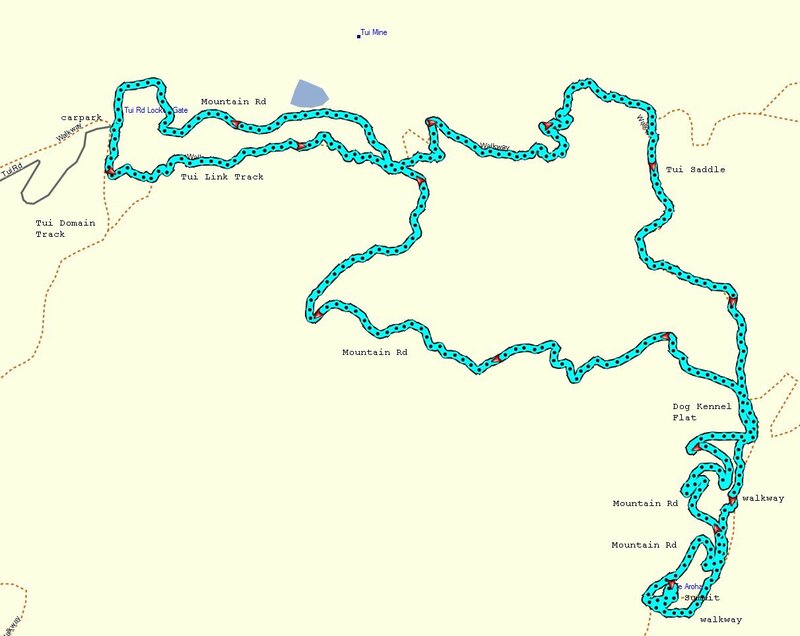 The walking tracks and the road have about the same length at 5.3 and 5.4 km, but the walking tracks are much steeper in places. 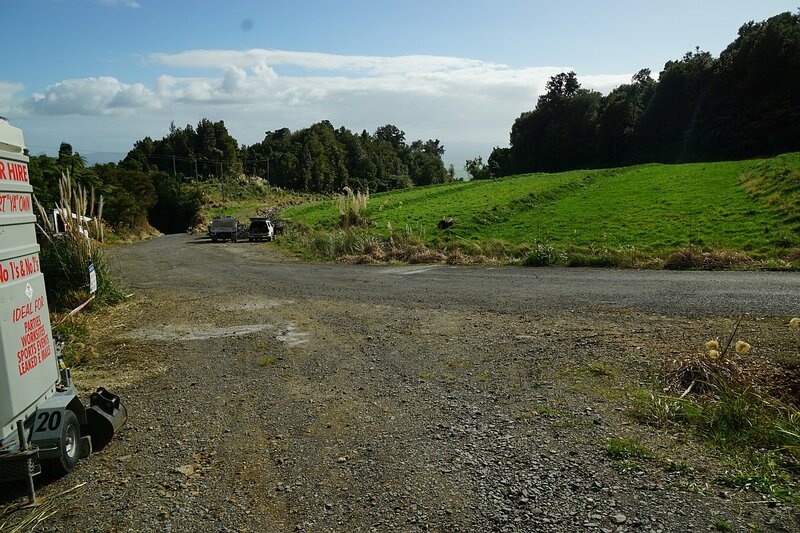 Looking down Tui Rd with the parking area on the right, and the start of the Tui-Domain track on the left. 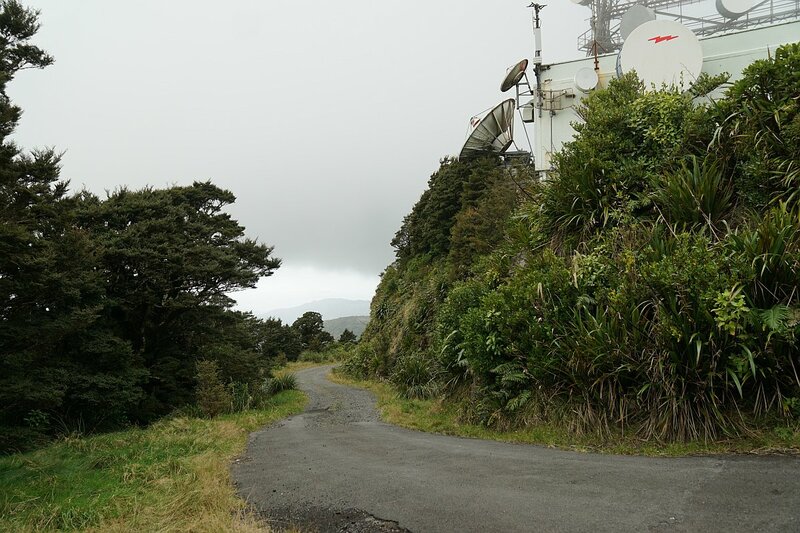 The Tui Link Track turns off the Tui-Domain Track near the old reservoirs after about 180 m, by the sample of the wooden boxed water pipe, and heads uphill on the right. The sign at the junction. 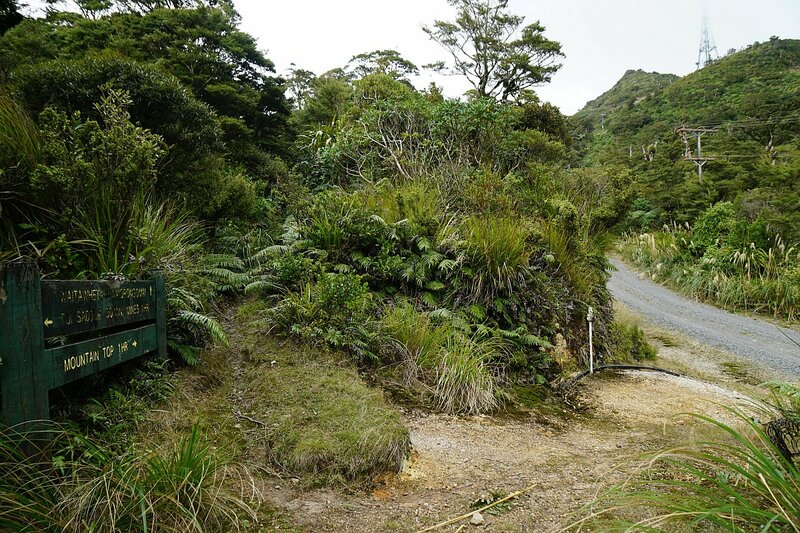 The Tui Link Track runs uphill more or less parallel with Mountain Rd, through regenerating native forest. 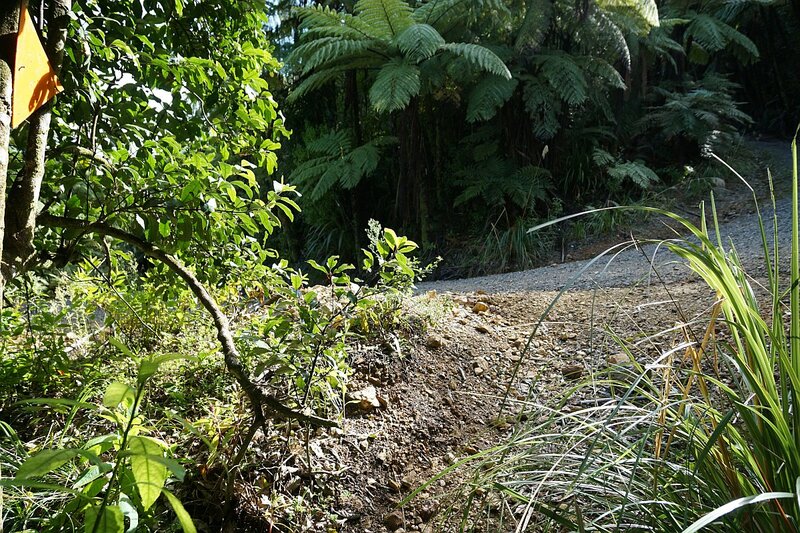 After about 1.1 km the track crosses over Mountain Rd, and continues uphill on the other side of the road. This part of the track is not named on any of the signs. 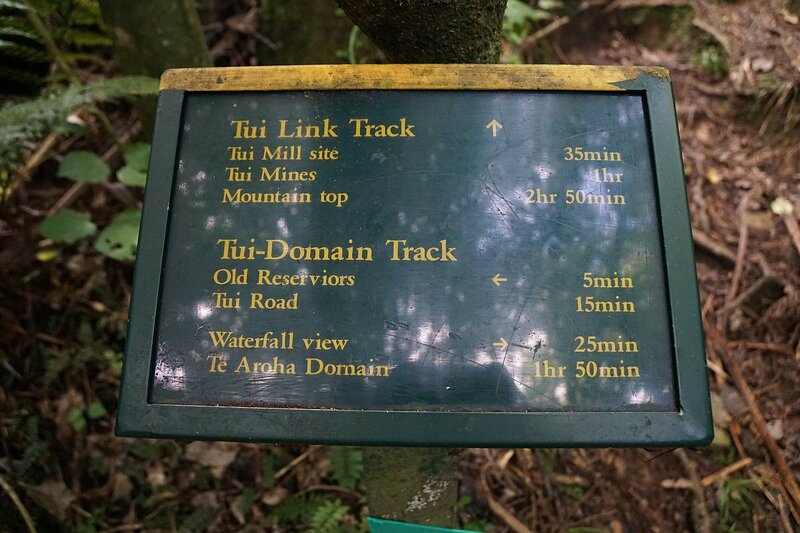 Perhaps it’s Tui Mine Track? 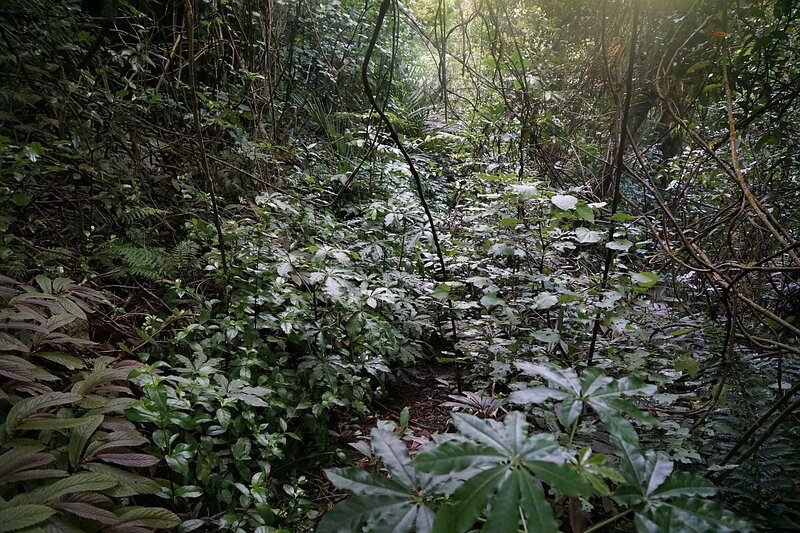 Parts of this track are almost completely covered in vegetation, and the track itself can be difficult to see. The track reaches a formed gravel road, by a fork in the road, and follows the fork to the left uphill for a short distance. 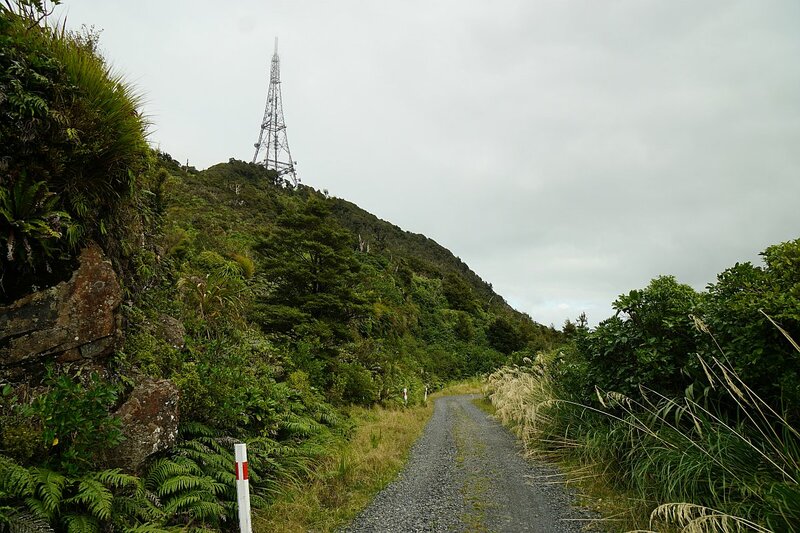 Parts of Te Aroha township can be seen from this road. 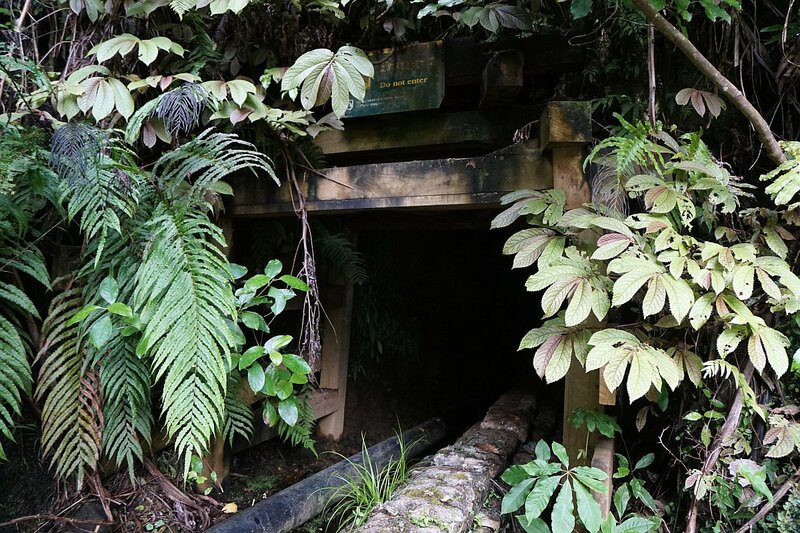 Signs warn of the dangers posed by mine tunnels and mine shafts. This old mine entrance is at the end of the road. It is constantly being drained of water. Water from the mine tunnel entrance behind the concrete barrier. The water runs directly into the nearby stream. 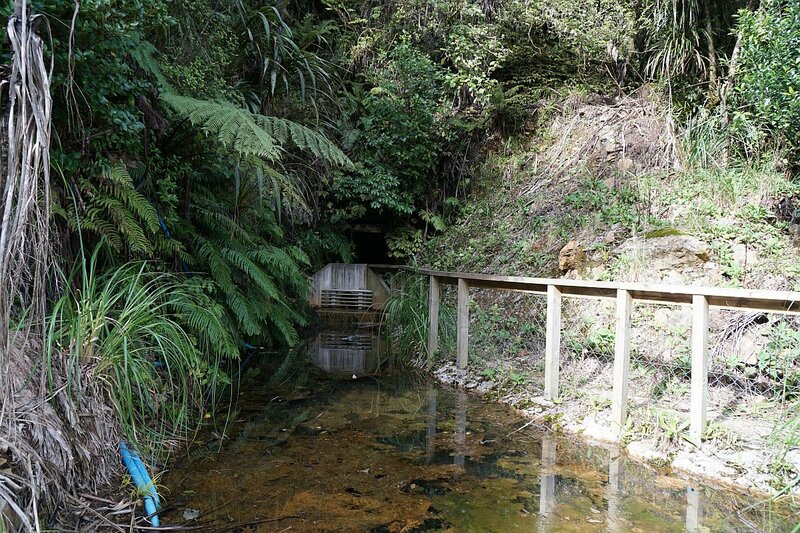 Just above this mine entrance the track branches off to the left, across the small stream and into the dense vegetation. 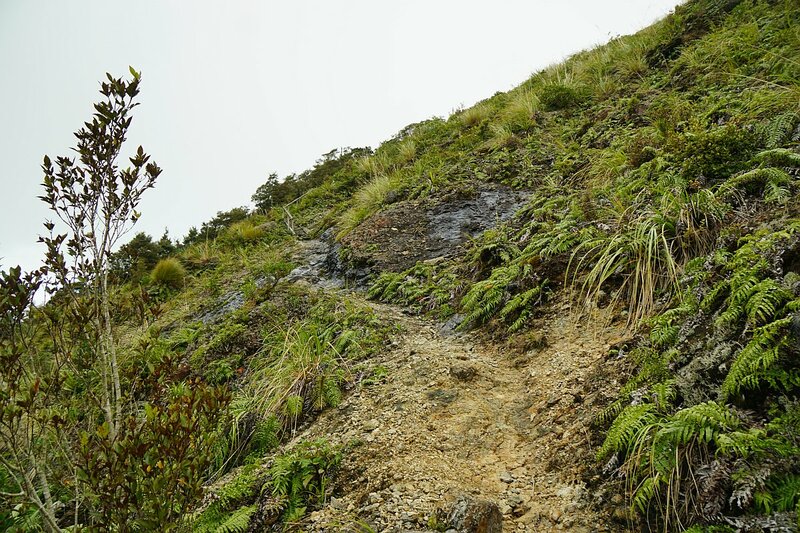 The track up to the saddle is quite steep and rough in places. 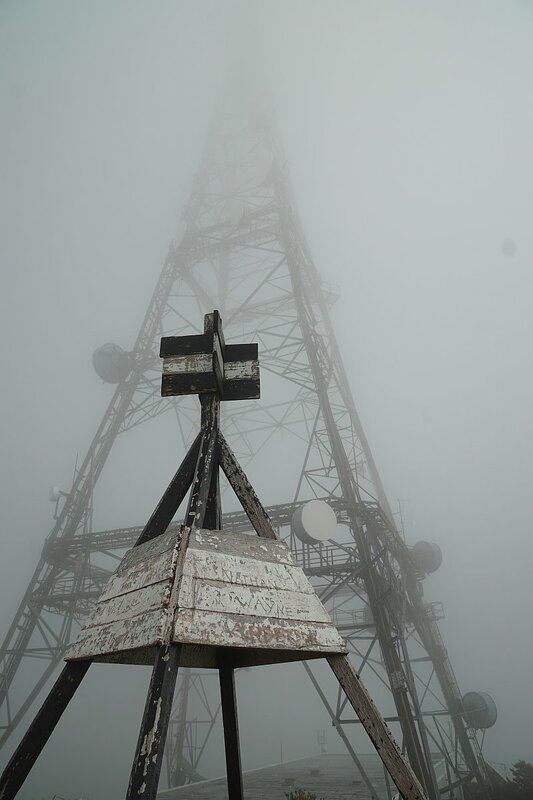 On this day the clouds were hanging low, down to about 1000 metres, leaving the top of the summit tower enclosed in mist. 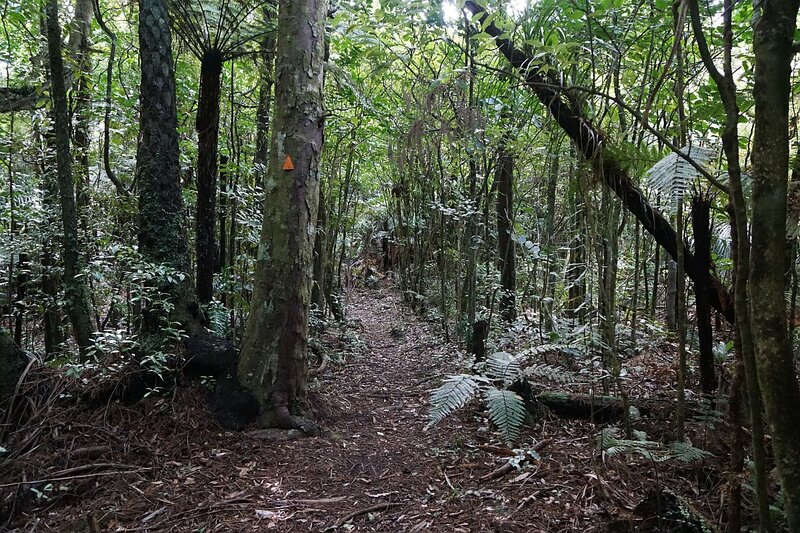 On the Tui Saddle the Mangakino Pack Track branches off to the left, with the track to Dog Kennel Flat continuing uphill to the right. 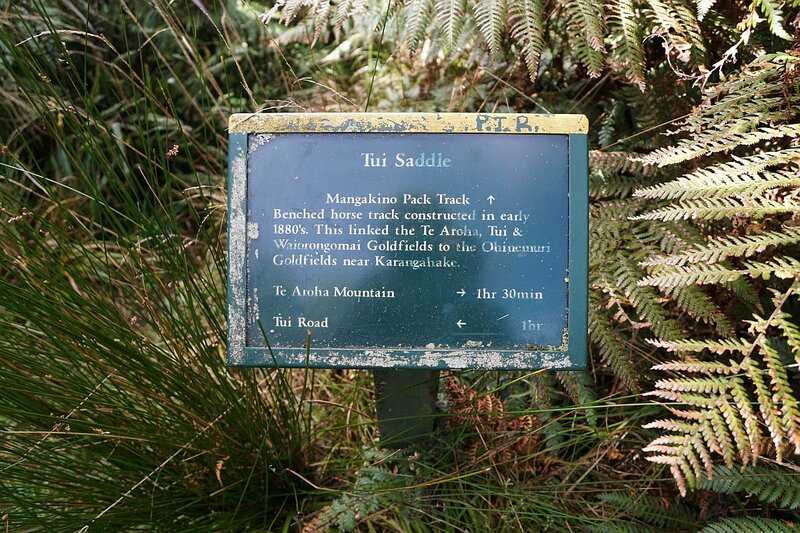 The sign by the Mangakino Pack Track junction. 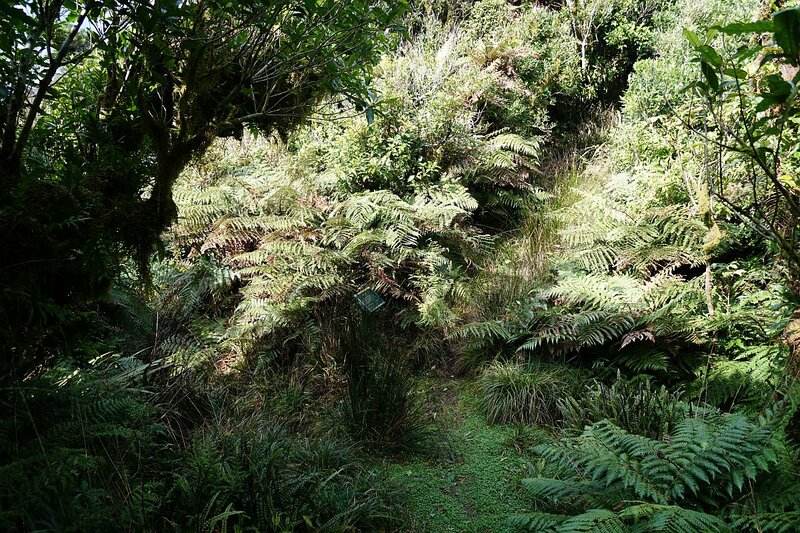 A 50 mm alkathene pipe runs along the track for most of the way along the ridgeline from the saddle to Dog Kennel Flat. Purpose unknown. 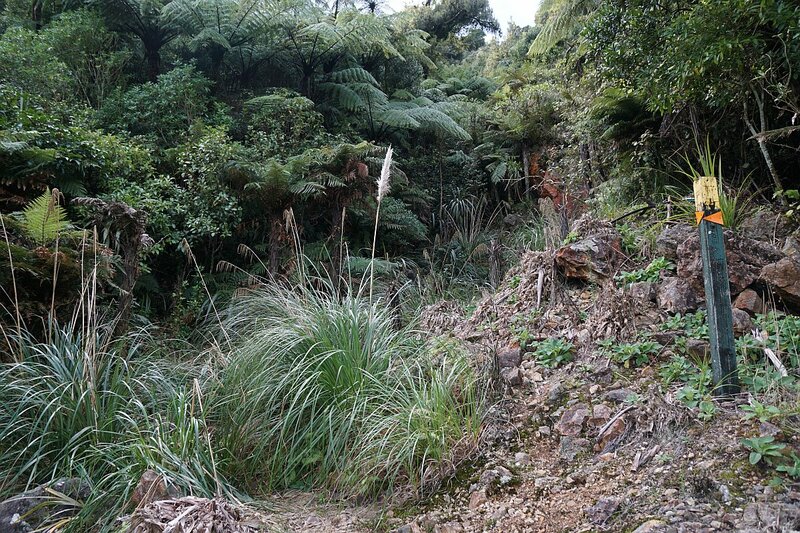 Along the Tui Ridge Track. Near the end of the ridge track it is more open, apparently having been bulldozed at some time. 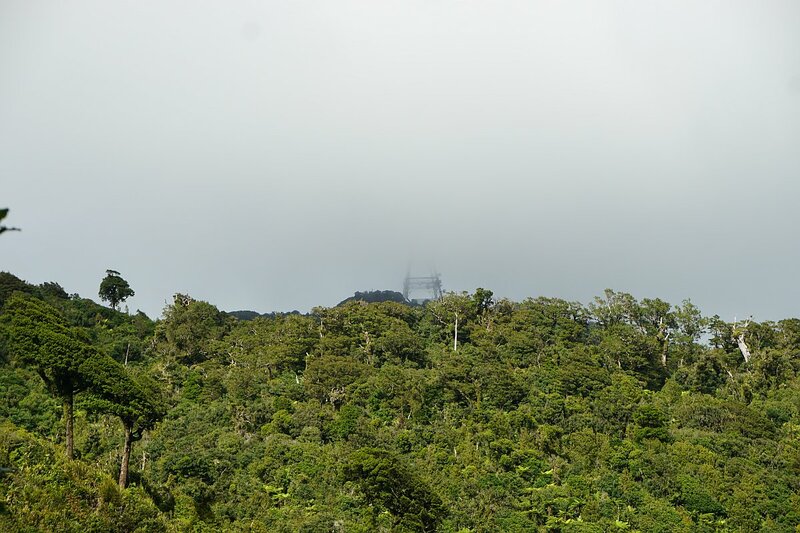 Most of the mast is still shrouded in cloud. More warnings of mine tunnels and shafts. 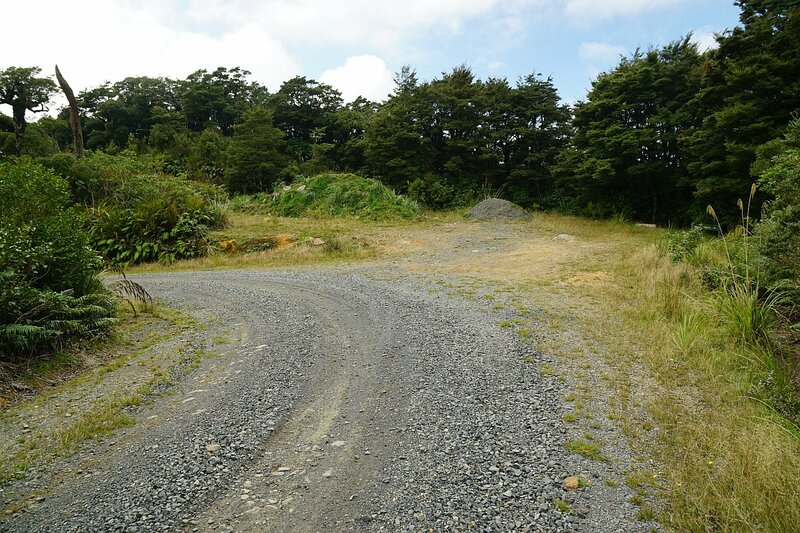 The track reaches Mountain Rd, with a short track parallel to Mountain Rd leading to Dog Kennel Flat. 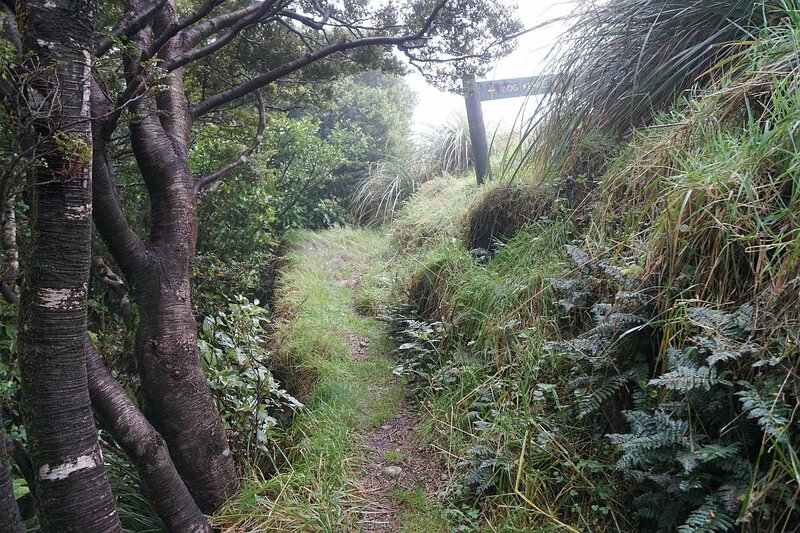 A track to Waitawheta and Waiorongomai also branches off here. Dog Kennel Flat. Used for dog kennels at a time when goats were hunted in the area. Mountain Rd is on the right. 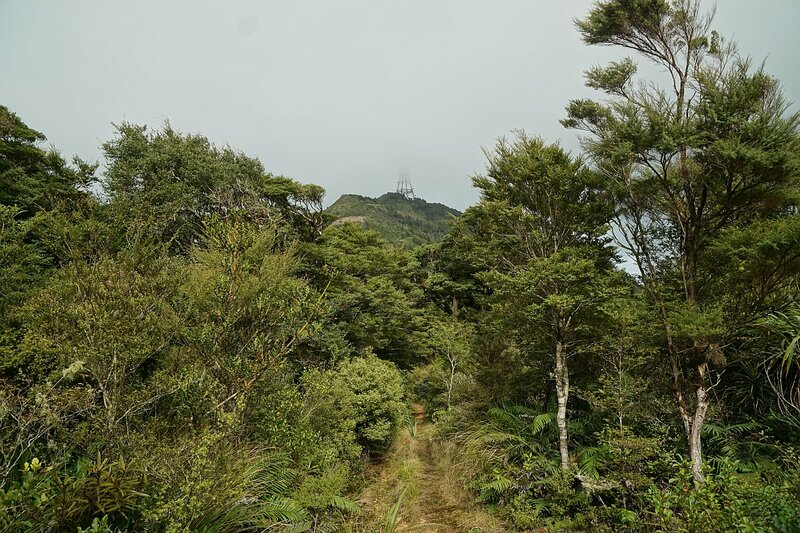 An unnamed track leads from Dog Kennel Flat Junction along the eastern flank to the summit of Mt Te Aroha. 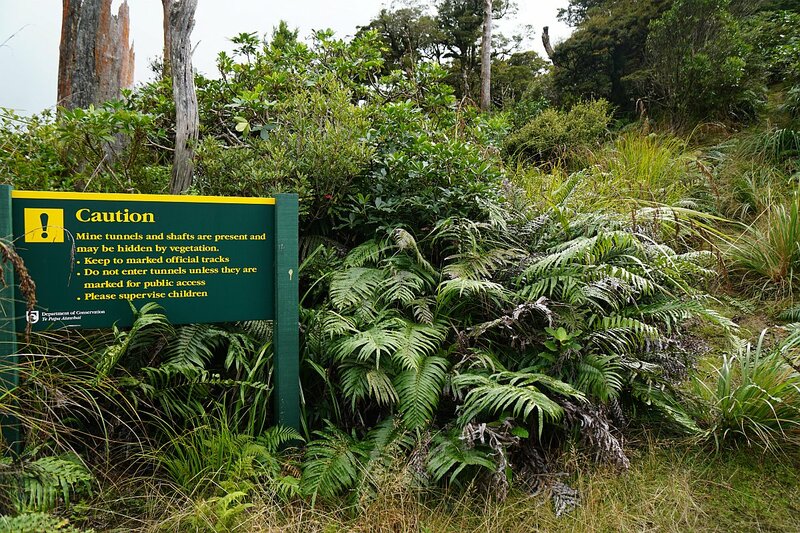 Another track, Waipapa Track, leads to Waiorongomai and further afield. 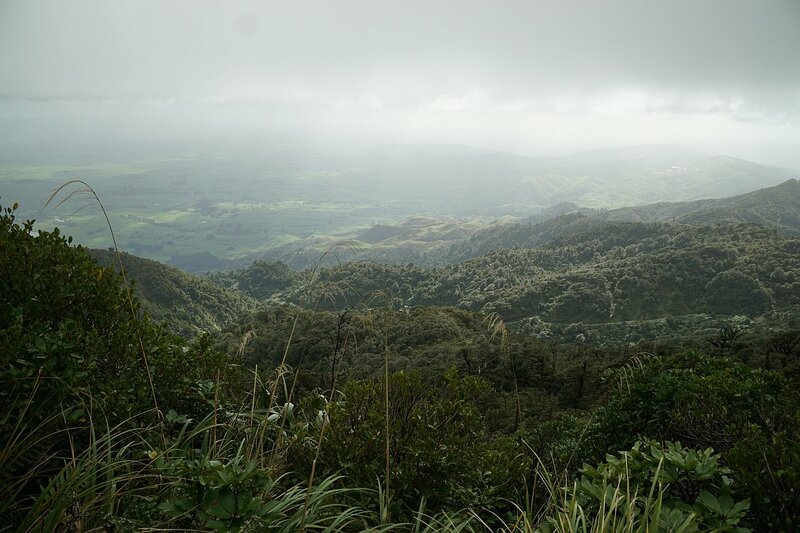 Looking from the track down to the Waiorongomai Valley and further to the south-east. 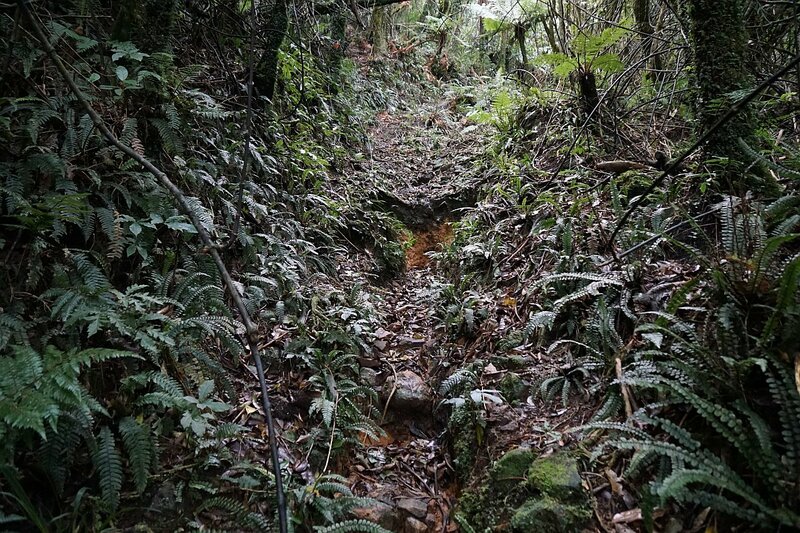 The track passes through some denser vegetation on a fairly gentle climb. Steps lead up a rocky face before the final climb to the summit. The tower is barely visible. 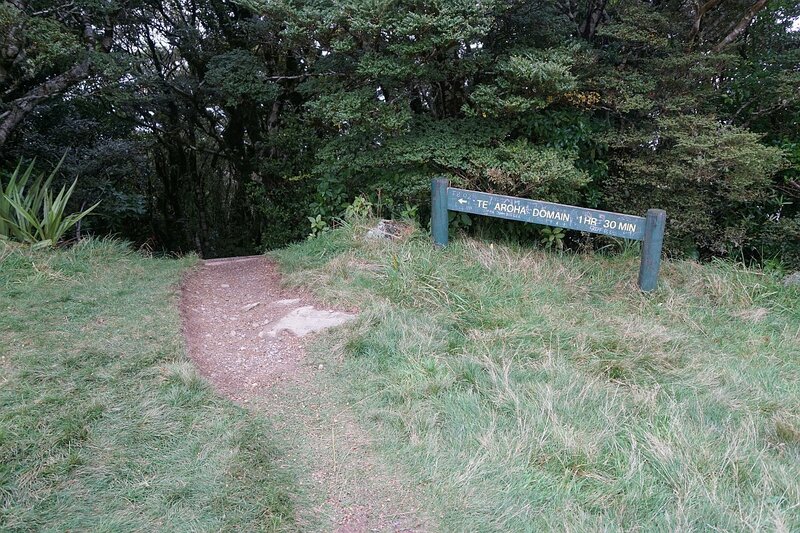 The track along the rocky face, leading to the next set of steps. 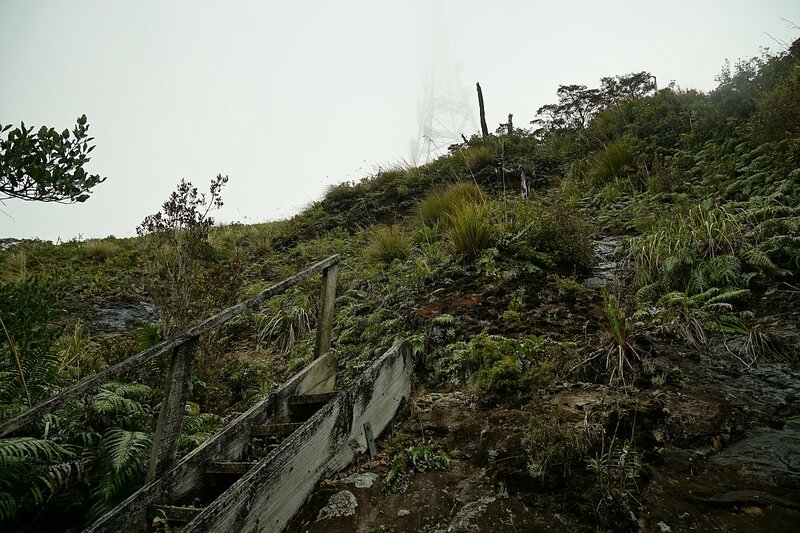 The final set of steps, now very close to the summit. 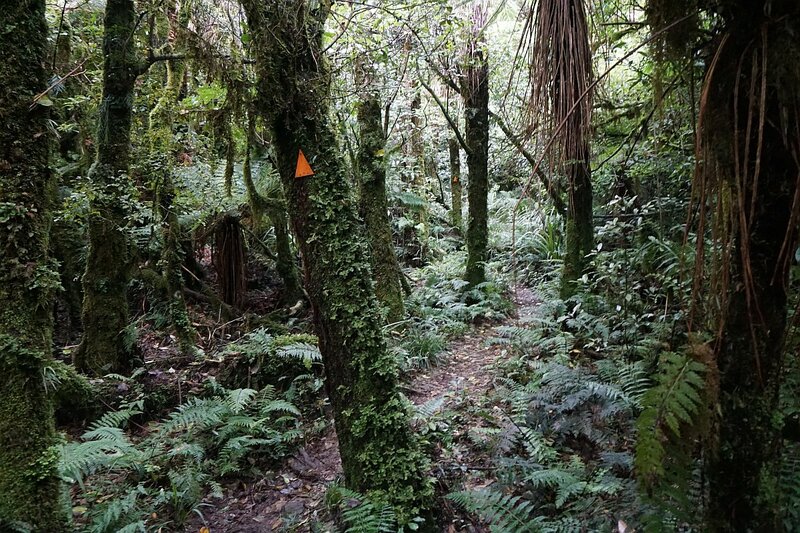 The track exiting to the summit area of Mt Te Aroha. 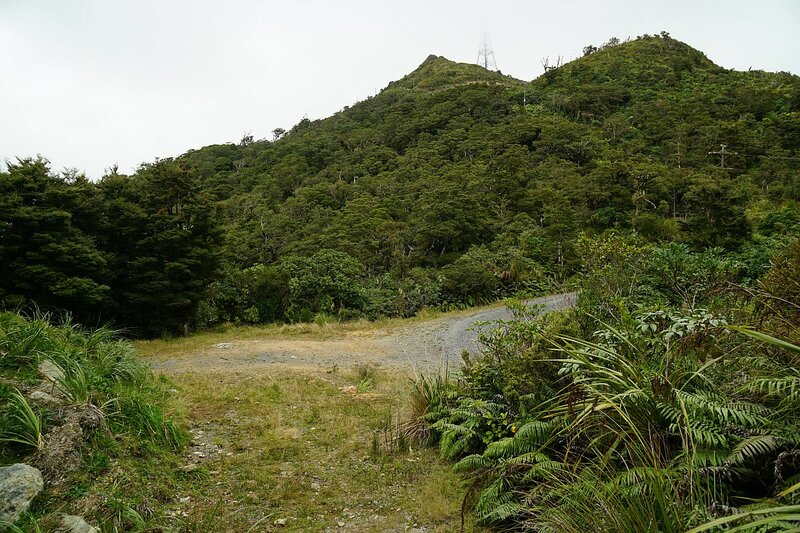 Looking towards the actual summit, with the track to Dog Kennel Flat on the right. 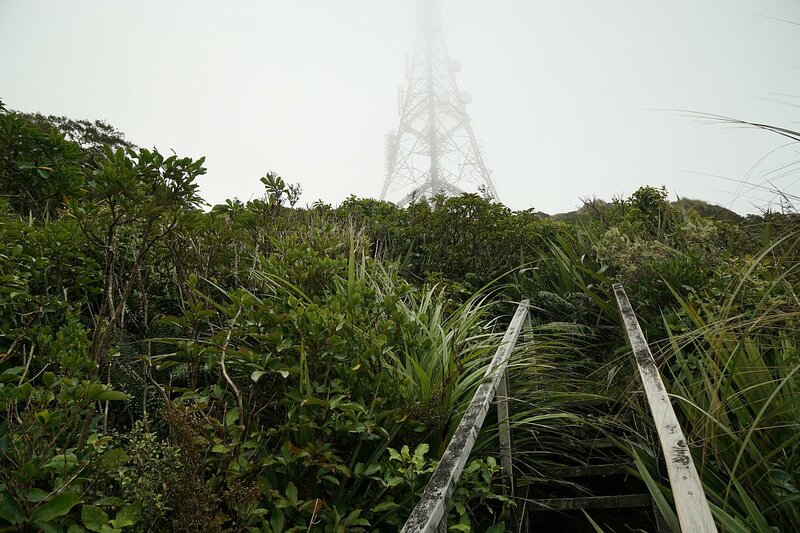 The trig station and the transmission tower at the summit of Mt Te Aroha. 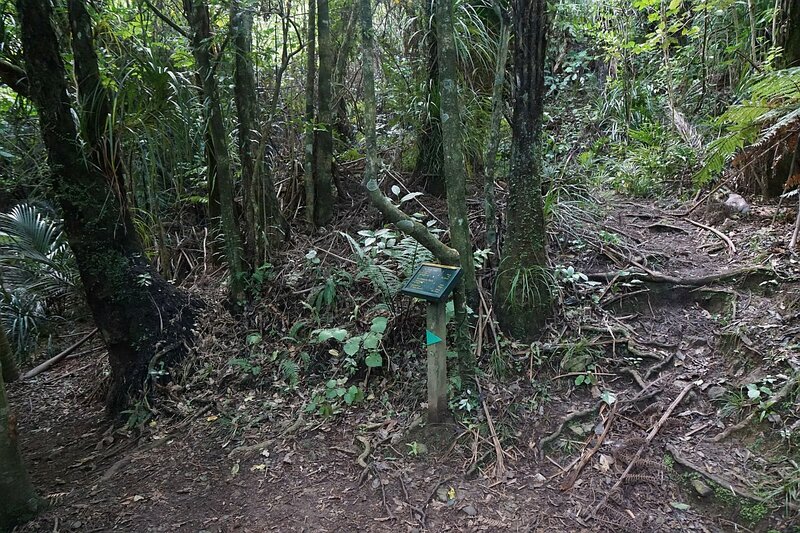 The start of the track directly down to Te Aroha Domain. The start of the walk downhill on Mountain Rd. Looking north from Mountain Rd, with Tui Saddle and ridge on the right. Mountain Rd can be seen continuing downhill at the right and centre. The cloud is finally lifting from the summit and the tower. Dog Kennel Flat seen from Mountain Rd. 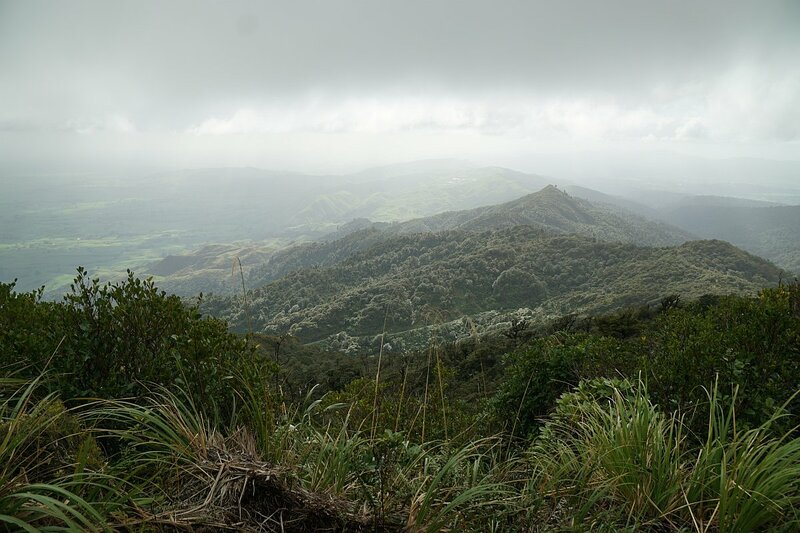 Now that the walk is almost over the clouds have almost completely disappeared. 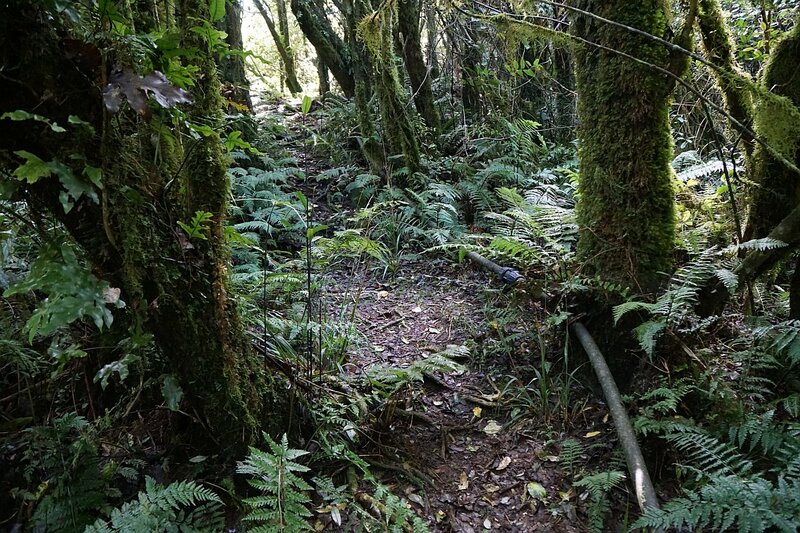 Remediation and soil stabilisation work in the Tui Mines area is apparently still ongoing. The mine tailings area on the right has now been completely covered. Mountain Rd is sealed from here and down to the parking area. 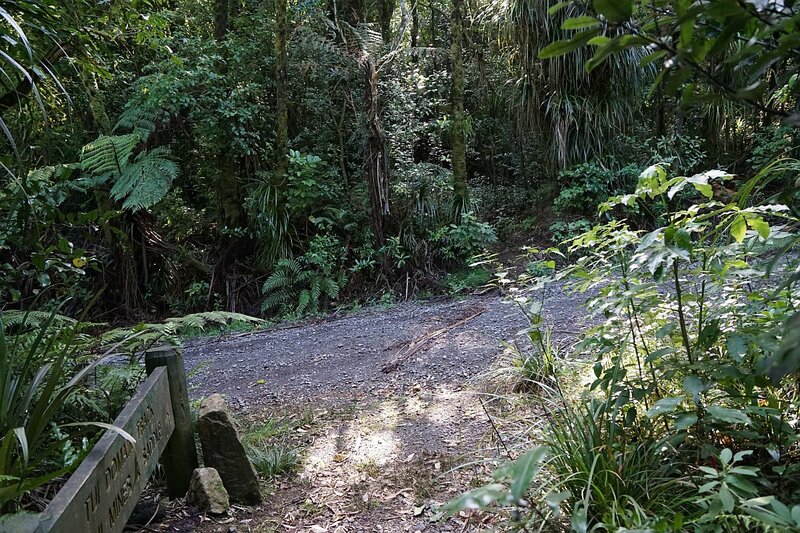 Tui Rd to Mountain Rd crossing by mine: 1.3 km, 37 minutes. 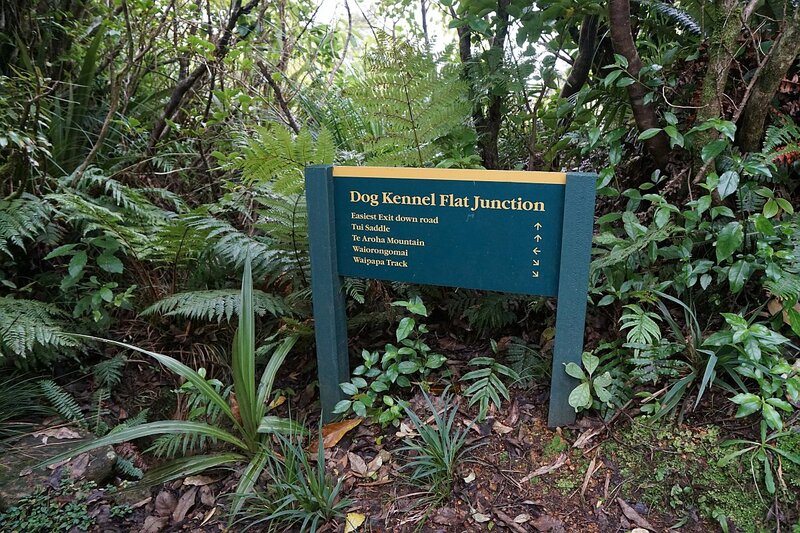 Tui Rd to Dog Kennel Flat Junction: 4.1 km, 2 hours. 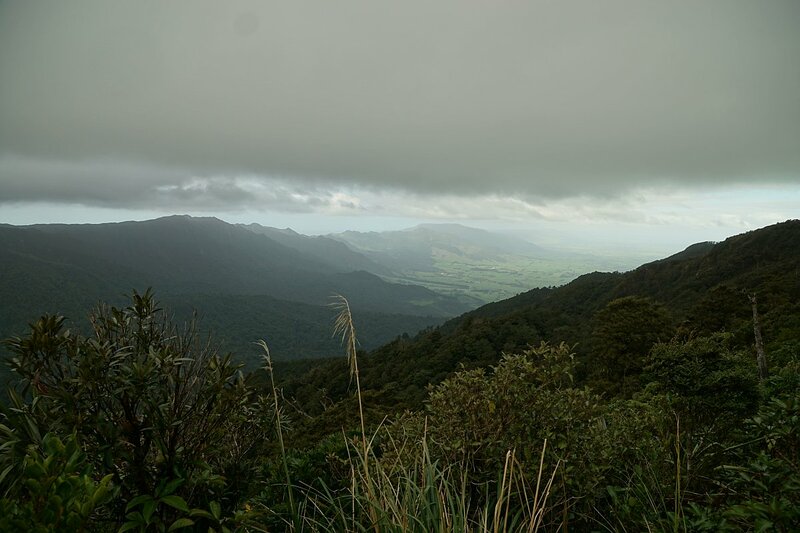 Tui Rd to Mt Te Aroha summit: 5.3 km, 2 hours 40 minutes. 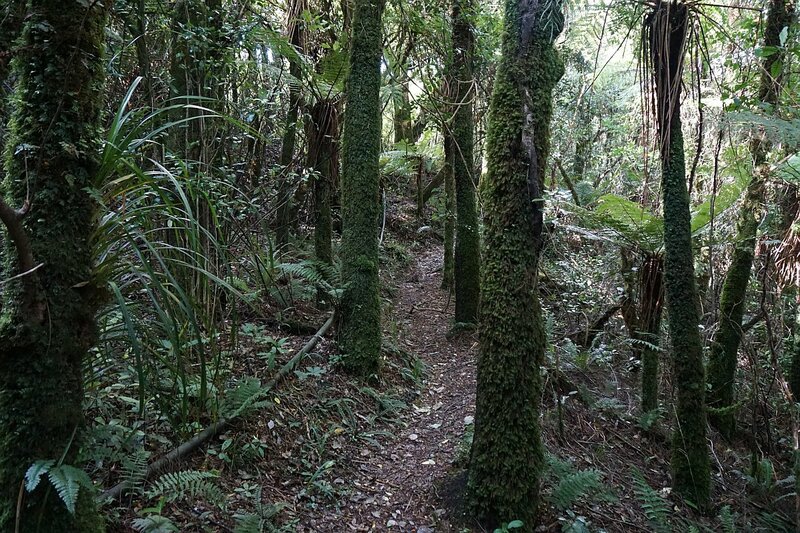 Mt Te Aroha summit to Tui Rd via Mountain Rd: 5.4 km, 1 hour 15 minutes. 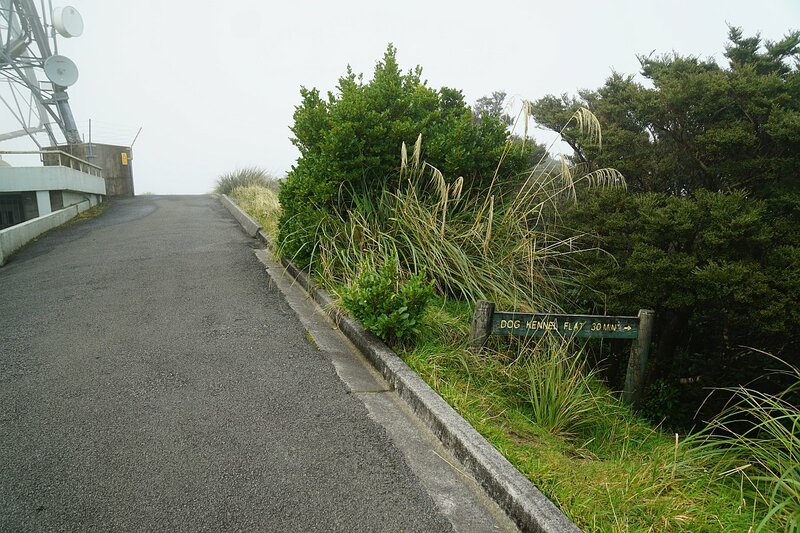 Lowest elevation at parking area about 230 metres, highest elevation at summit 953 metres. 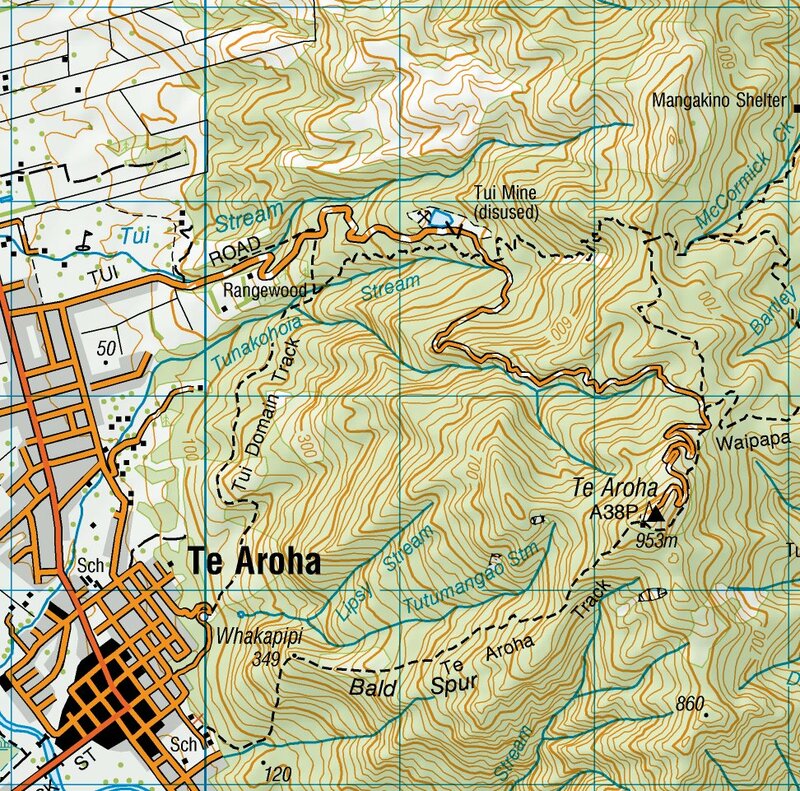 The topographic map shows the area and the location of the tracks. The track was walked on April 26, 2016.